Every year at the Golden Globe Awards, the son or daughter of a celebrity is chosen to assist during the ceremony and given the title "Miss or Mr. Golden Globe." 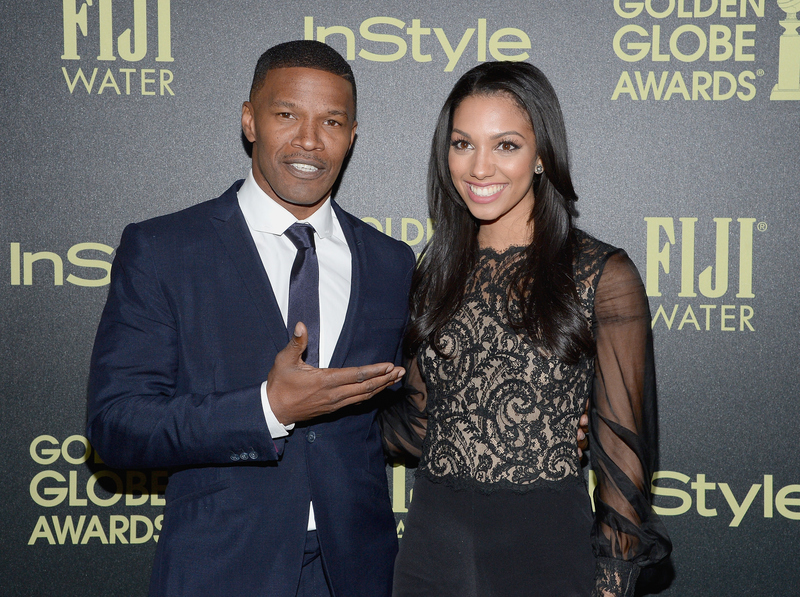 Well, at the 2016 Golden Globes, Jamie Foxx's 21-year-old daughter is taking on the role. That's right, Corinne Foxx is Miss Golden Globe, the Hollywood Foreign Press Association announced Tuesday. I've known for about three weeks. Maybe like a month and I was so excited. I had all of this energy and I'm not lying, for an hour straight, just jumped around my house and was bouncing off the walls, and was Googling all of this stuff about Miss Golden Globes so I was really excited. As for her father, well, to say he's thrilled is an understatement. He tweeted, "Soo proud of my little one for being chosen as Miss Golden Globes. @corinnefoxx can't wait to see you on the stage!" Corinne also told People that Jamie may have even shed a few tears. "My dad, he's a little bit emotional," she said. "He won't admit it, but he had tears in his eyes and he was so happy for me to kind of have my own thing now." With that said, let's get to know Corinne a bit better, because, believe it or not, she is so much more than Jamie Foxx's daughter. Corinne attends the University of Southern California, where she is a senior. According to her social media bios, Corinne models for LA Models and Select Models London. If you scroll through her Instagram, there are several photos shared from different gigs. She clearly is perfect for the modeling world. There's nothing stronger than sisterhood. She obviously loves Space Jam as much as everyone who grew up in the '90s. Based on the above photo, it looks like Corinne's dabbled in the acting world, just like her dad. Clearly, her dad is super proud and her biggest supporter. I mean, just look at his face. Congrats to Corinne on her next big endeavor, Miss Golden Globe! Here's hoping Tina Fey's son Randy doesn't interrupt.